Domino’s Pizza is a chain of restaurants specializing in Italian food. Diners can eat in, carry out, or have their food delivered. The company began as a single restaurant in Ypsilanti, Michigan in 1960, and has since grown to more than 9,000 restaurants across the world. You can find a Domino’s Pizza application link at the bottom. Shares of the publicly funded company are traded on the NYSE as DPZ, and the corporation is currently worth more than $1.8 billion dollars. It is the largest pizza chain in the world, with corporate owned and franchised restaurants in over seventy countries, and employing more than 220,000 people worldwide. The current CEO is J. Patrick Doyle. The company’s founder, Tom Monaghan, was a student at the University of Michigan when he and his brother borrowed money to buy a pizza restaurant nearby to fund his education. He bought his brother’s half of the business, and opened more stores focusing on food delivery near college campuses. He sold his control of the company to Bain Capital in 1998. The corporate headquarters is currently in Ann Arbor, Michigan. The restaurants serve pizza with five different options for crusts, submarine sandwiches, pasta entrees, flavored chicken pieces, soft drinks, breadsticks, dessert breadsticks, and chocolate lava cake. Customers who order food for delivery can track the progress of their order online with the website Pizza Tracker. See their website below for a printable application form. The business has many corporate level careers available at its headquarters in Ann Arbor, Michigan, and there are some in offices in other states as well. Some of these positions are Director of Digital Marketing, Corporate Accountant, Technical Business Analyst, Manager of Corporate Field Marketing, Corporate Customer Service Representative, and Marketing Engineer. Numerous positions also exist for truck drivers and warehouse workers. Entry-level and in-store positions for which they are hiring include Store Assistant Manager, Store Customer Service Representative, Store Delivery Expert, and Store General Manager. The website, at the bottom, lists lots of job opportunities and allows searchers to narrow them down by locations. Visit the site below to download application form. You must be 16 to work at Domino’s Pizza, but some positions have an older age requirement. You must be 18 to be a delivery driver. While most Domino’s Pizza jobs don’t require much education or experience, applicants must be capable of bending, lifting, and standing for long periods to be considered for employment. Benefits of Domino’s Pizza careers include competitive wages, paid holidays, and the chance to move up, even from entry-level. With so many stores across the United States, the hours of operation vary. Monday through Sunday, 10:30 AM to 10:00 PM, or 10:30 AM to Midnight are typical hours. Go to the website below for a printable application for Domino’s Pizza. Store Customer Service Representative – In this position, you must be able to operate the equipment, stock the ingredients and make the food, take food orders from customers, do some daily paperwork, and perform cleaning tasks. Expect minimum wage, which is standard for this type of work. Store Delivery Expert – As a Store Delivery Expert, you would deliver food to customers. You would also distribute flyers and door hangers. You must be 18 for this job. You would need to be skilled at reading maps and following directions. A valid driver license, vehicle insurance, and a clean driving record are required. Most drivers earn between $6.00 and $8.00 per hour. Store Assistant Manager – The Assistant Store Manager’s job description is keep the store running according to the company’s standards during every shift. That includes staffing, customer service, cash control, food quality, store cleanliness, and more. Expect to earn $8.00 to $10.50 per hour. Store General Manager – As the Store General Manager, your responsibilities would be the same as those of the Assistant Store Manager, except that you would be more accountable. You would need math skills, good organizational skills, and good judgment to perform well in this career. The General Manager will make anywhere from $8.00 to $16.00 per hour, with salary being commensurate to experience. You could look forward to questions like these at your interview. Are you physically able to do the tasks required for this position? Basic physical abilities are listed for all of the jobs posted by this pizzeria chain. The company does not want to hire those who cannot perform the required tasks. Let them know if there are any physical reasons you should have one position over another. What is your favorite item on the menu? You’ll need to be familiar with the products to sell them, or to make them properly. Show your interviewer your interest in Domino’s Pizza jobs by demonstrating your knowledge of the food and the company. See the website, at the bottom, for a direct application for your local restaurant. Is there any reason you might have trouble getting here on time? Your interviewer wants to know that you will be on time. If you don’t have reliable transportation, you won’t be able to meet one of the most basic requirements of the job. Make sure that you don’t have other commitments that might keep you from getting to work. Are you interested in working in the restaurant industry long-term? This chain does promote from within, and even provides career opportunities for franchise ownership to employees. Let them know whether you are interested in summer employment or something more. Fill out applications or find out where to send your resume at the website below. Do you like to be in charge? That trait can work to your advantage here. It is mentioned in the descriptions for their management positions. Let your interviewer know it if you are not shy about telling others what they need to do. Go to their site for a Domino’s Pizza application. You’ll want to make your online application stand out from the others. Be careful to follow the instructions correctly on the application form while you apply for jobs at Domino’s Pizza. These positions don’t require much previous experience, so attention to details like spelling and thoroughness will tell management what kind of employee you will be. Casual but nice clothing will be acceptable for the interview process, and punctuality is a must. Be sure to tell your interviewer how you would be an asset to them. 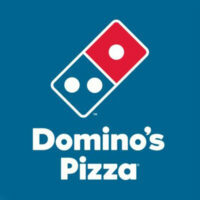 You can get a free application and apply for Domino’s Pizza jobs online at the website below. If you would like to know how to apply for Domino’s Pizza online, use the website link below to go to the jobs section, read job descriptions, and follow the instructions to apply online.